She provides distant healing, crystal healing and intuitive readings to heal the physical body, in addition to providing Life Coaching, with a spiritual focus to assist you in creating the life you desire. Her goal is to assist others in reaching their highest potential. Teri has become a powerful intuitive healer and excels in working with Distant and Crystal Healing, as well as Psychic Protection and Clearing. 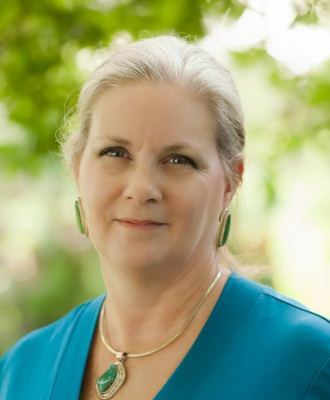 Teri's healing specialties include transformational clearing and healing; opening, clearing and working with the Chakras and aura; and psychic protection, in addition to healing physical ailments and diseases. Being the co-creator of Lemurian Crystal healing, Teri has been able to channel the powerful Lemurian energies - said to be 100 times stronger than Reiki. Through these sessions, she's able to help clear many physical, emotional and spiritual issues that have been holding you back from your greatest and highest potential in this life. Teri is also the channel for The 5th Element – a powerful consortium of Angels, Ascended Masters, Guides, and Loved Ones who are coming at this time to help transform the world and raise it to the 5th Dimension. Teri's transformational healing sessions provide just the shift that you've been looking for, helping you speed-up your own ascension process and to clear hurdles developed from past life and karmic issues. These are truly life-changing sessions! She has an extensive knowledge-base of energy healing for the body, mind and spirit. She is a sought-after lecturer regarding energy healing, working with the Angels, as well as crystals and how they work for us and holds seminars teaching others how to use and work with Divine energies. She is the author of six books, 365 Days of Blessings, Manifesting the Life You Desire, Harness the Power of the Light, Chakras, The Magic of Crystals, and her newest, The Mystery of Crystals. All of these are available on Amazon, Kindle, and Barnes & Noble.